Thinking of shopping for diamonds in the Philadelphia Jeweler's Row? Read this helpful local guide for the best tips to get the perfect engagement ring. Philadelphia - the birthplace of America! It's home to a number of America's "firsts," including America's first birthday, the first newspaper and hospital, and even the making of the first American flag (that may or may not be a myth). 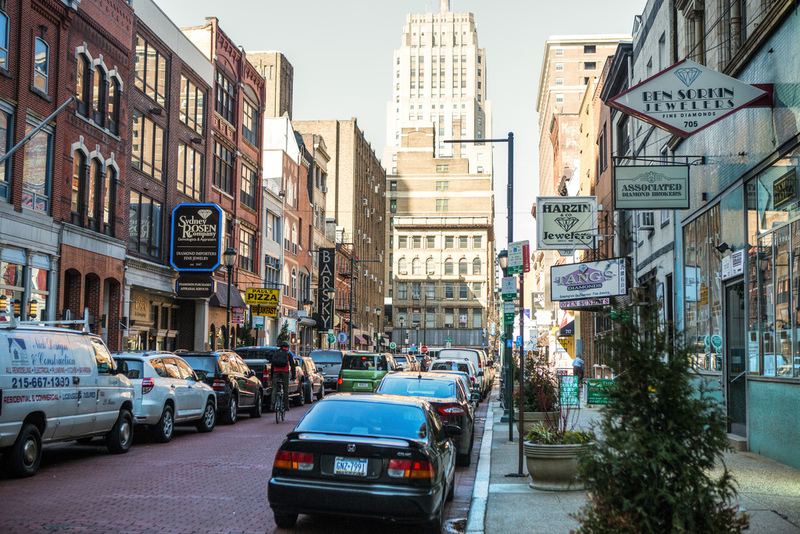 It's no surprise that Philly is also home to America's first diamond district, known formally as Jeweler's Row. First built at the turn of the 1800s, it was America's first row housing project. Throughout the century, various businesses occupied the area until by the 1900s, it became predominantly a jewelry center. Today, you can find jewelers on Jeweler's Row who have been in business for 5 generations. 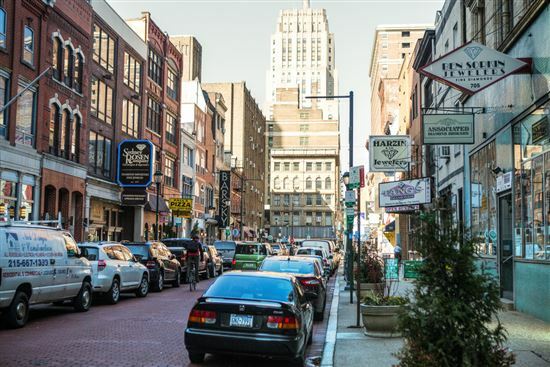 The Jeweler's Row is located in Philly's historical Center City district, with more than 300 retailers located in an approximately T-shaped area. You'll find the majority of the jewelry stores on Sansom St. between 7th and 8th, and on 8th St. between Chestnut and Walnut streets. Just mere steps away from Jeweler's Row are the famous Liberty Bell and Independence Hall. This is an exciting area where American history, arts and culture, past and present architecture, and modern gastronomy meet. Tip: For a more stress-free time, you can use an app like BestParking to find and reserve a spot even before you arrive. Philadelphia's Jeweler's Row has over 300 jewelers within the 3 blocks. If you're not sure where to start your search for the perfect engagement ring, we've got a few suggestions. These stores all have developed strong reputations for customer service and trustworthiness. Marchi (737 Walnut St.): John Marchiafava has over 35 years managing stores on Jeweler's Row, and Marchi is his small store where he represents hand-selected artists specializing in unique handcrafted jewelry. He is also a passionate jeweler himself, who loves bringing customers' ideas to life. From traditional rings to more unique and alternative stones, Marchi's goal is to help everyone create the perfect engagement ring within their budget. Harry Merill & Son (124 S 8th St.): Now into the 3rd generation, this family jeweler aims to provide an intimate and relaxed place to learn about diamonds and shop. They treat each customer like family and take the time to guide them through this big purchase. They specialize in custom designs, but also have a large selection of estate jewelry and retro rings. Safian & Rudolph (701 Sansom St.): A family business that's been on Jeweler's Row for 3 generations, Safian & Rudolph earned their trusted reputation for top-notch customer service. They believe that everyone deserves to be heard. Their goal is to help customers create the perfect piece to express their love. They make beautiful, unique pieces with diamonds and other gemstones. And lastly, are the prices at the Philadelphia Diamond District really cheaper? In our opinion, not really. Of course they’re cheaper than prestigious branded stores, but for the most part, prices are on a par with online stores such as James Allen. 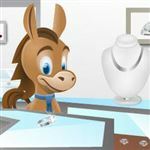 So if you like being able to look at diamonds in person, you may find better prices compared to high-end stores, but don’t expect outrageous deals either. 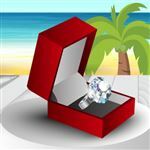 Share on Facebook "Jewelers Row Philadelphia: How to Save on Engagement Ring"